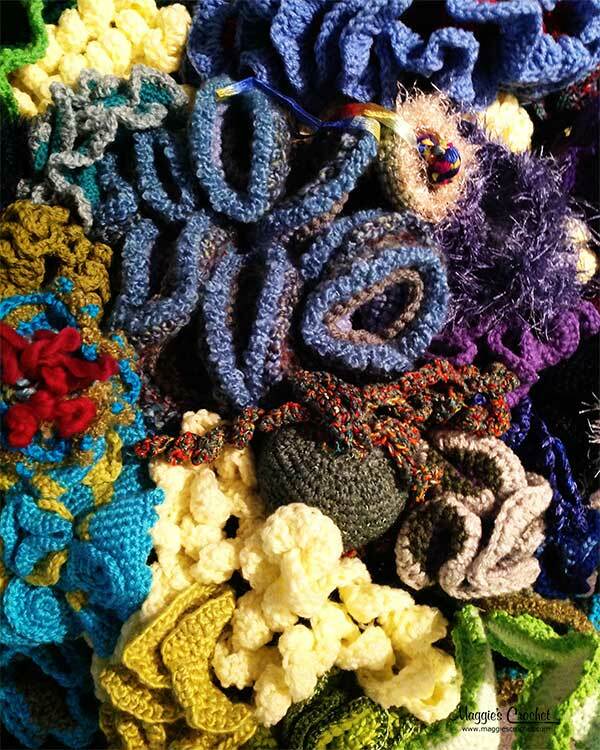 The first thought that comes to mind after viewing the beautiful crochet coral reefs is “How can I make my own coral reef?” The Crochet Coral Reef (CCR) project uses the method of hyperbolic crochet to design realistic crocheted coral. 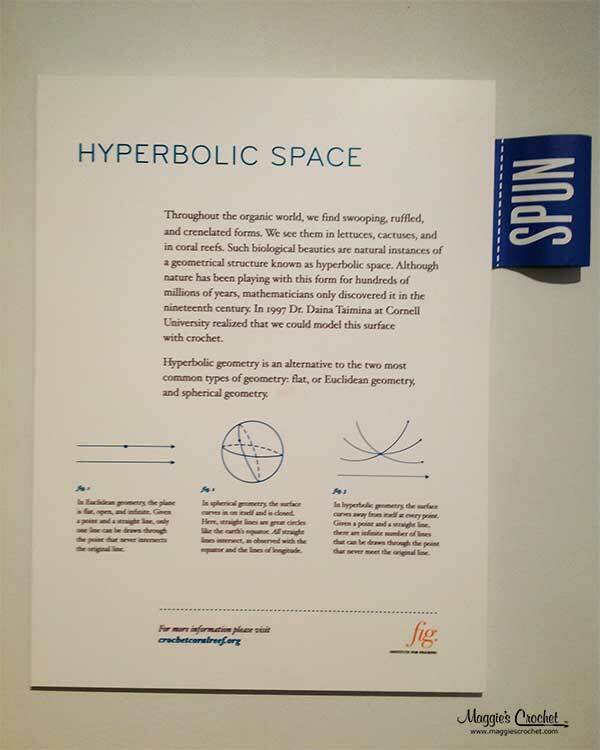 The great part is that getting started with crocheting a hyperbolic model is easier than you think. 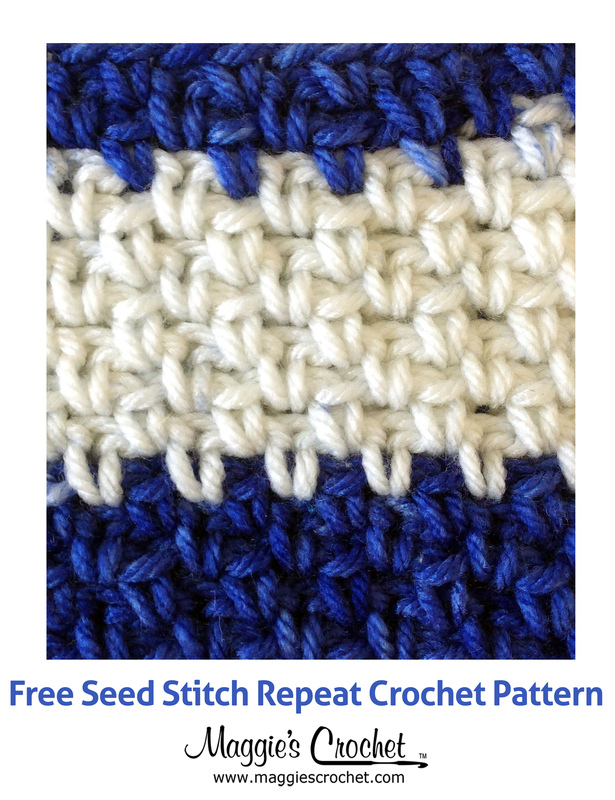 The basic process of this type of crochet is using increase and decrease stitches to grow and shape the coral pieces. Experimenting and playing with stitches is the best way to start designing your own coral. 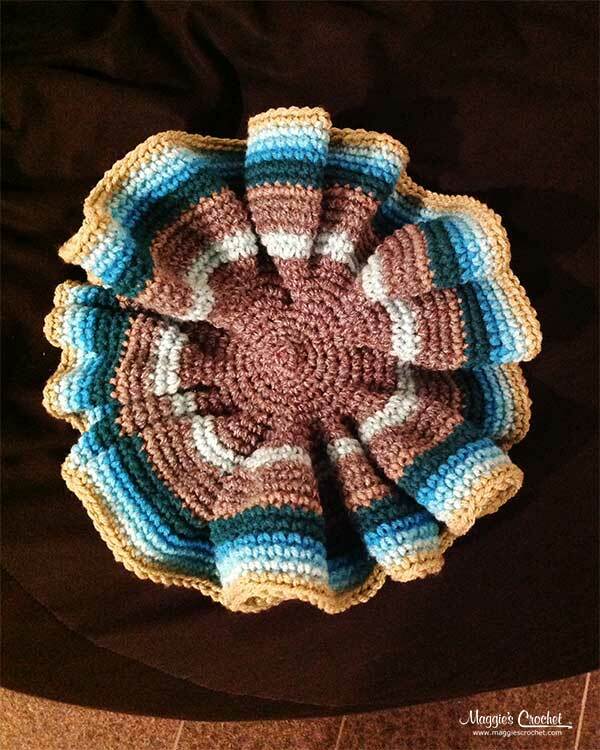 Some things to keep in mind while working with the hyperbolic model for crocheting coral is that you can start with a hyperbolic place (simple line of crochet) or a circle, which creates a tube or trumpet shape depending on the number of increase stitches used. Starting with a single point allows you to crochet around to create a cone, known as a pseudosphere in the hyperbolic method. 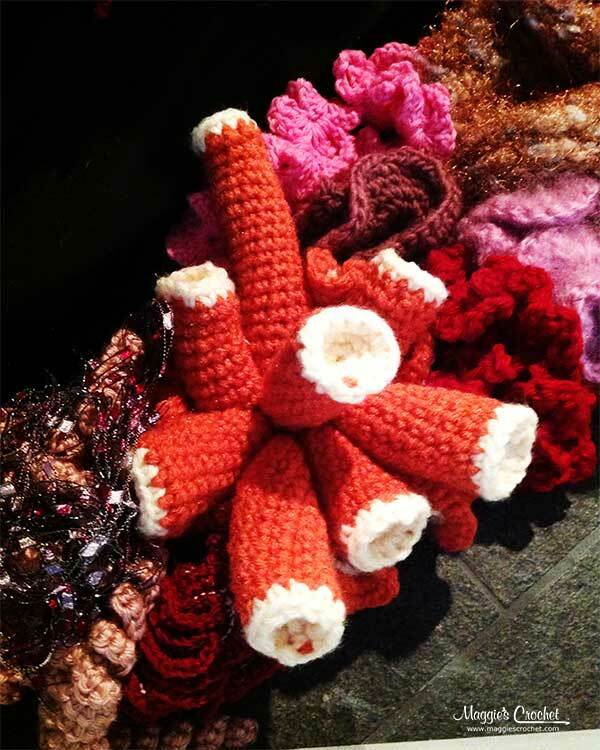 Use these tips as your starting point, and then have fun creating crochet coral. It may be helpful to look at a picture of coral to have an idea of what you want the end project to look like. Remember that textured, thick and thin yarns will allow you to add dimension and texture to your coral pieces. 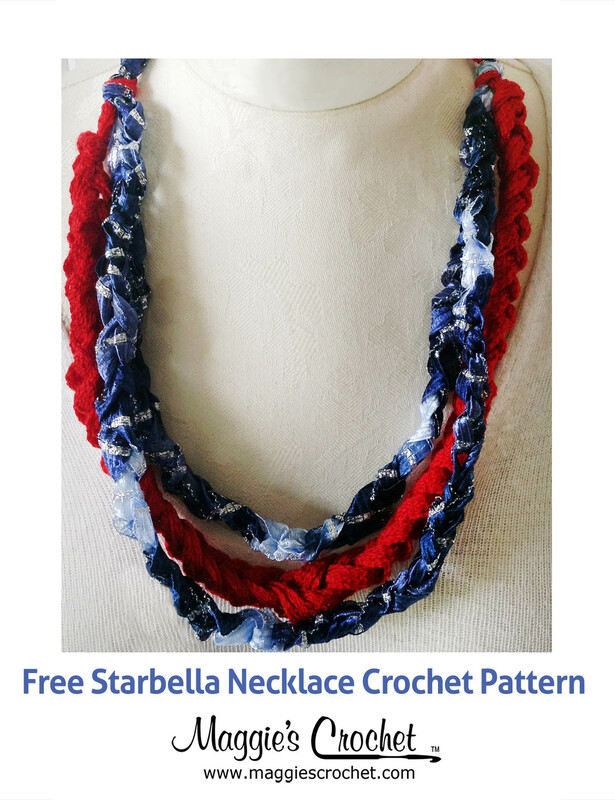 Using animal fiber yarn gives you the option of felting the finished coral, while crocheting wire into the crochet coral makes it easy to bend and shape the pieces. 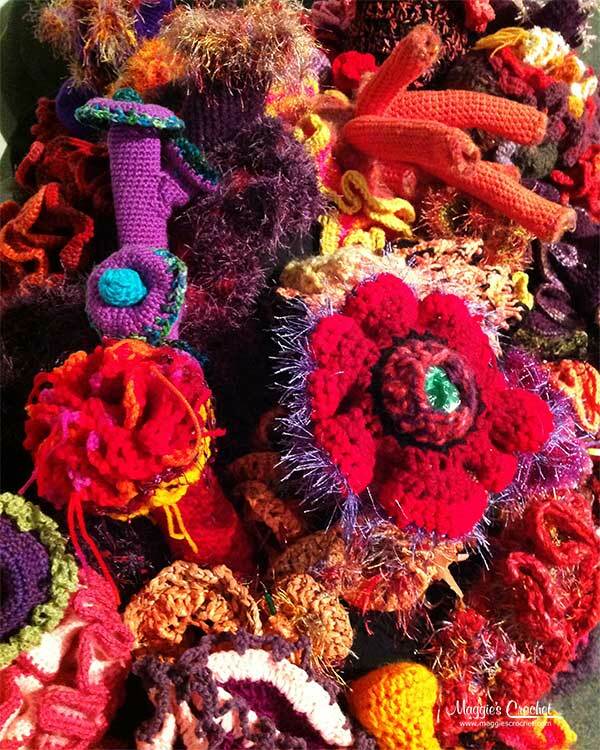 Open up your imagination, pull out a crochet hook with some yarn and start crocheting your own garden of coral for a creative display. 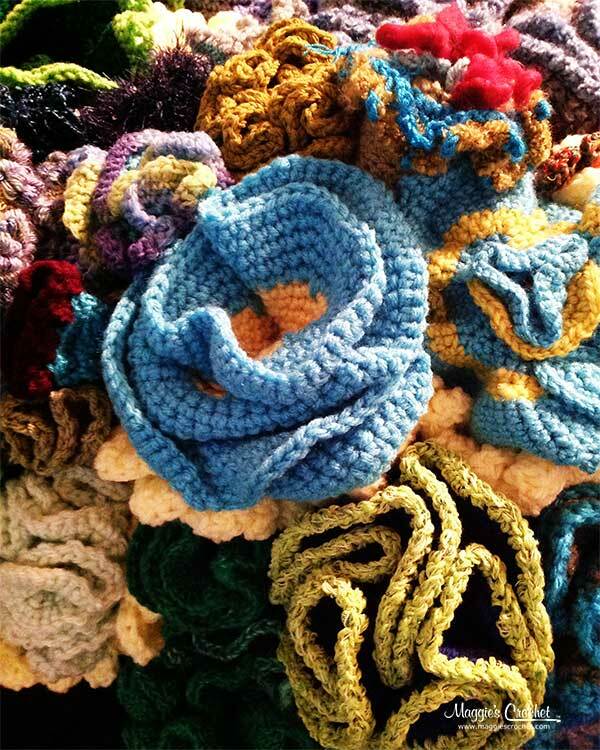 Coral Reefs Lead to Crochet Inspiration or Coral Reefs Around the World.